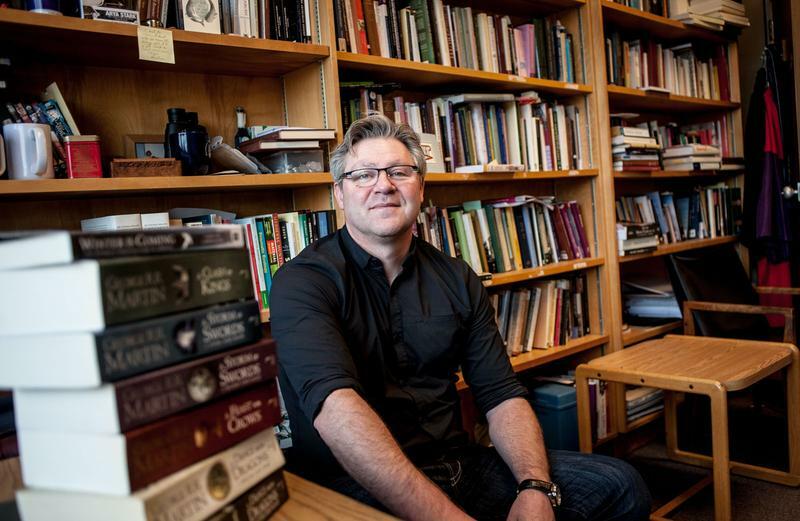 With the chance to share their own theories this term, a group of 16 students are joining Robert Rouse, an associate professor of Medieval English Literature, in a study of George R. R. Martin’s works as the central texts for an investigation of how the medieval is reimagined today. Although Rouse received his first degree in marine biology at the University of Auckland, he quickly decided to take a different route. “As a 21-year old, I didn’t really want to go live on a small island with penguins,” Rouse recalled, explaining that his interests really lie in how the medieval has been continually imagined to reflect the contemporary moment. He sees medieval literature — the fictitious reimagining of the past — as a reflection of its context. Rouse compared Martin’s Game of Thrones to J. R. R. Tolkien and his series The Lord of The Rings. Tolkien also recreated a medieval past, but in very different circumstances to Martin’s. “Tolkien is writing immediately after WWII, so his politics are good and evil, black and white. It’s very clear cut because he’s just been through ‘us and the Nazis,’” said Rouse. On the other hand, Rouse pointed out that Martin is writing in the 1990s and 2000s, when the United States is fighting Iraq and Afghanistan. It’s hard to tell who’s in the right and who’s in the wrong — it’s messy. In this fourth-year seminar, Rouse’s students will discuss topics like politics, monsters, disability, history, religion, sexuality, women and race, among others. Rouse is especially keen to see how questions on disability will unfold as a result of characters like the dwarf Tyrion Lannister. Rouse believes that the most important concept A Song of Ice and Fire can teach us is the value and power of the past, as well as the power in the term “medieval.” For example, Rouse pointed to how the press often use the term “medieval” to describe infringement of the rights of women in certain countries. This effectively places such countries in the past, “building a temporal hierarchy,” he explained. “I want students to come away with a sense of the power of that kind of ideology,” Rouse said. Next year, Rouse hopes to make his course available to second-year students as well.